3. All Humanists, nationally and internationally, should seek to establish recognition of the fact that Humanism is a life stance. The reasoning behind the second point is obvious: the happy human symbol could be a way of making Humanism visible in our world. Signs and symbols are well recognised as important elements in the communication process. Organisations and companies put a lot of money into the creation of a symbol or logo, and even more into spreading it abroad. The Humanist movement has its symbol, the happy human, introduced by the BHA in 1965, and widely adopted both nationally and internationally. It is both distinctive and apt. Let us use it. Rather more stands behind the first point. The value of a single name is obvious. We have no wish here to argue with anyone as to their beliefs; but we suggest that where people do feel that their beliefs are ‘Humanist’ they should use the word. They should use it of themselves, and feature it in the names of their organisations and publications. Even more important is to recognise the damage done by qualifying adjectives. It is academic sectarianism to promote a half dozen or more separate varieties of attitudes, But this does not require a multiplicity of names. The similarities between the beliefs and values of the different groups – even ‘secular’ and ‘religious’ Humanists – is more fundamental and more important than the different groups is divisive. Viewed from outside, it does not help us to have all these specific names. How should ordinary people be able to see anything but irrelevance (at best!) in such a divided movement? The above points are particularly important at the international level. 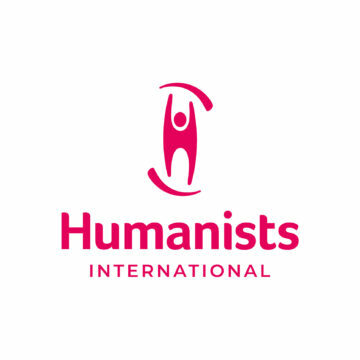 If the International Humanist and Ethical Union doesn’t succeed in getting the groups in our movement to identify themselves as Humanists within very few years, the already weak world organisations, with their odd names. will die as well – some of them have already been dead for some years, even if they will not lie down. The battle will be lost. It should be noted, however, that there is a problem in adopting the single word ‘Humanism’, without adjective; and the last of our three points above resolves this difficulty, as expressing our identity, and our value in the world. The difficulty is that our opponents have genuine grounds for pressing us to make clear that by Humanism we mean our distinctive position, as against ‘renaissance humanism,’ on the hand, and a generalised ‘concern for humanity’ on the other. The difficulty is resolved by recognising that Humanism is a life stance. As the name of a life stance, Humanism should carry an initial capital letter, for as such it is a proper name, not a common noun. We use initial capitals for the religious life stances, Hinduism, Christianity etc; why discriminate against Humanism? The use of the capital H both expresses the identity of Humanism as a life stance; and shows that it is neither ‘renaissance humanism’ nor mere generalised ‘concern for humanity’.